Many wood users, led by furniture makers, timber merchants and private tree growers, signed up to the principle of helping to replenish our native woodland resource. These founding members were swiftly joined by hundreds of individual members, assionate about trees and how our woodlands are being managed. However, retailers of furniture and other wood-based products such as DIY stores have generally been slow to recognise the link between the products they sell and the need to grow high quality trees in a sustainable way to assure future supplies. Many retailers do not appear to see themselves as a part of the supply chain. We believe that retailers have a vital role to play. They are at the “sharp end” of the supply chain and as such are the ones who interface with consumers. They are in a position to help raise public awareness of the need for putting something back. There are always exceptions to the rule. One enterprising retailer is developing a scheme whereby if the consumer will contribute one percent of the sales price, then they will match it, pound for pound. 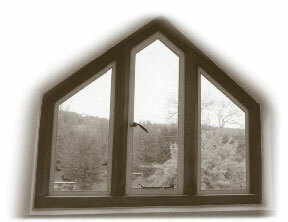 Another contributor is The Oak Window Company who, as the name implies, are manufacturers of traditional solid oak windows and doors. They are a relatively new start-up company who “adore working with this beautiful natural material” (their words) and who approached us saying they would like to contribute to WH on the basis of oak timber sales. It is their intention to plant at least one tree for every order they take, therefore not only replacing woodland, but also increasing the total area of woodland. I believe such innovative approaches are to be applauded. NHG Timber Ltd is another example of a welcome new WH supporter. As an international timber merchant, they source from 65 countries across the world and have real concerns about sustainable development, but equally, they see the importance of putting something back “at home”. So, I asked Tim Rollinson, Director General of the Forestry Commission, if he would contribute his thoughts on the same theme and he kindly agreed to do so. I know that some of our private woodland growers may not agree with all of his views – in which case, I hope they will enter into a constructive debate. Tim has certainly proved his willingness to engage with the industry as a whole. One of the things that I do agree with Tim on is that we must not be sidetracked into simplistic debates of “continuous cover versus clear felling”. Certainly, WH would not be so presumptuous, or prescriptive, as to maintain that any particular forestry system is a panacea. We do think that continuous cover systems offer a viable alternative on appropriate sites. But overall the UK surely needs a judicious mix of management systems, depending on each particular environment. Likewise, I agree that a “broadleaves versus conifers” debate is equally sterile and misses the point entirely. Accordingly, Woodland Heritage, being a broad church believes in keeping an open mind. We can all learn from others and hence the importance we attach to our Garthwaite Travel Bursaries which allow forestry students and practitioners to look at alternative management systems across the world thatmight add to the sum of our knowledge and encourage best practice. The only condition we attach to the bursaries is that the recipients must share the knowledge they have gained, by way of a short report for publication. I hope you will enjoy reading some of these reports in this issue of our Journal. Newer PostNow we are ten!